The flooring you choose can add a special, personal touch to your home while also helping to make a room stand out. 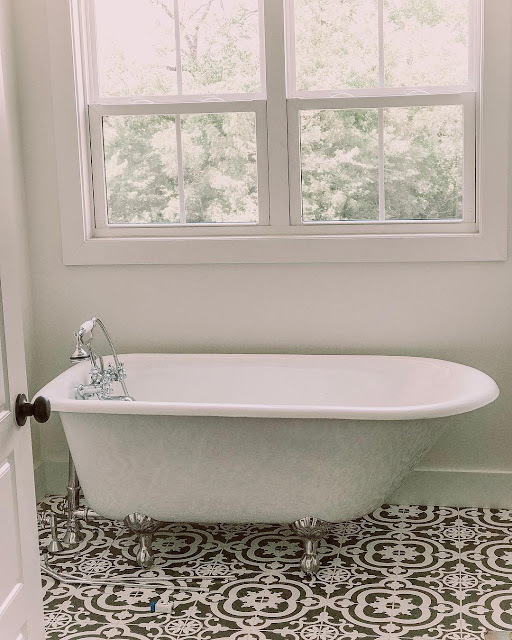 These Vintage Tub & Bath customers turned their bathrooms into one of a kind getaways using bold tiles and creative patterns. 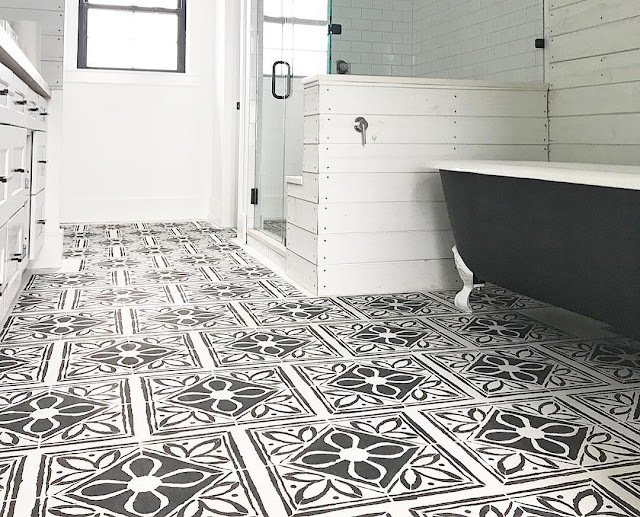 Make your tub pop with fun patterned tiles like these Estrella black cement tiles by Riad Tile. 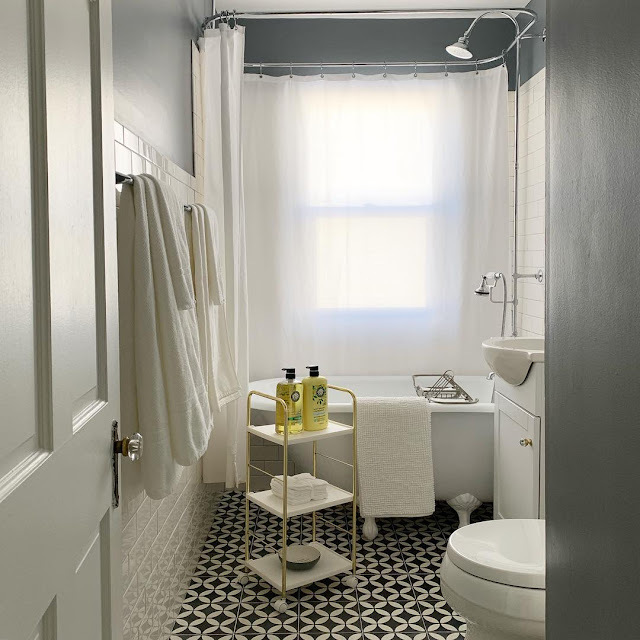 The bold geometric shapes highlight the Oxford Pedestal Tub in this modern farmhouse bathroom. 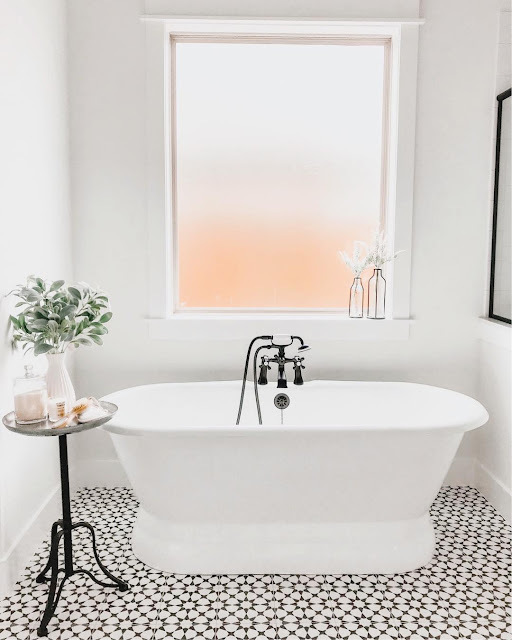 Blogger and home décor enthusiast Fashionably Ally used flowers and plants to add color to her black and white master bathroom. Black and white bathrooms are popular right now. This Italian designed tile creates a perfect space for the Heritage Classic Clawfoot Tub. Monochromatic walls combined with a patterned floor can be modern and timeless. You can see more of this beautiful bathroom by following @olcogswellfarmhouse on Instagram. The black and white concrete Moroccan tiles create a classic, yet modern look in this Airbnb bathroom. The tile pattern is simple but has just the right amount of detail to stand out. You can see more pictures of the Ripple Airbnb on Instagram at @ripplebnb. More and more often we see homeowners trying to stand out. 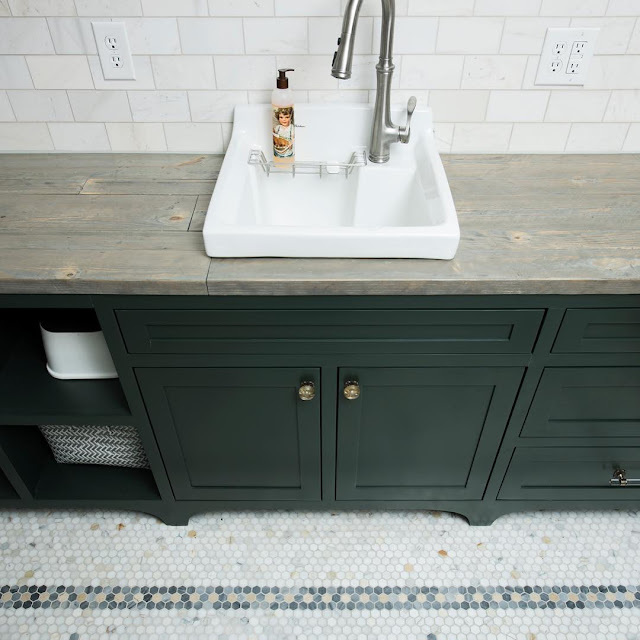 DIYer, Katie of The Rustic Boxwood, did just that by creating her own unique master bathroom floor. Using an 18” x 18” Lotus Tile stencil from DecoArt Inc., she stenciled the detailed pattern by hand! 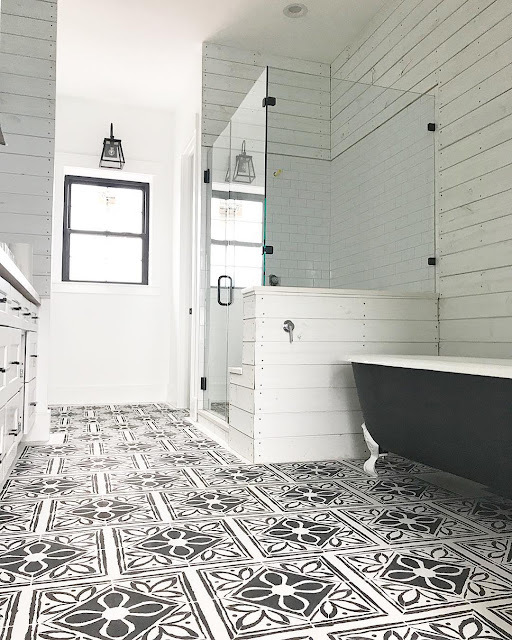 Her cast iron clawfoot tub is painted in a matte black, so it stands out against the shiplap walls. Penny tile provides texture to this master bathroom. Not only is penny tile an attractive option for a bathroom floor, it's ideal for slippery surfaces. 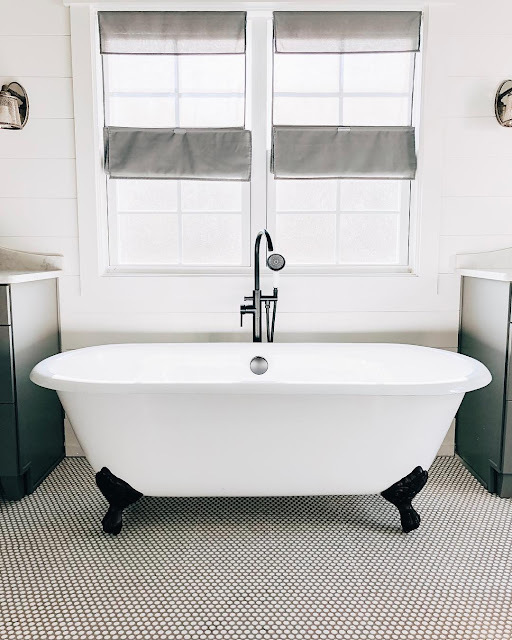 Interior Designer, Rachel from Crate and Cottage chose oil rubbed bronze feet and fixtures for her Cambridge Clawfoot Tub, highlighting the bathtub and making it stand out against the busy floor. Penny tiles can also be used to create designs as Emergent Construction did in this laundry room. The hand laid mosaic pattern features a one of a kind star and flower pattern. You can see more of Emergent’s designs on Instagram at @emergent_indy. These are just a few examples of creative tiles customers have used in their space. To get more design inspirations, visit our look book or follow us on Facebook, Instagram, and Pinterest.